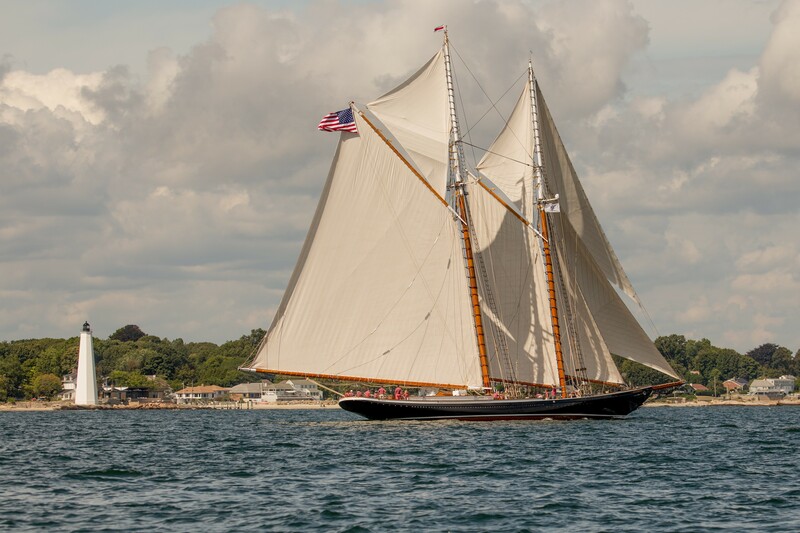 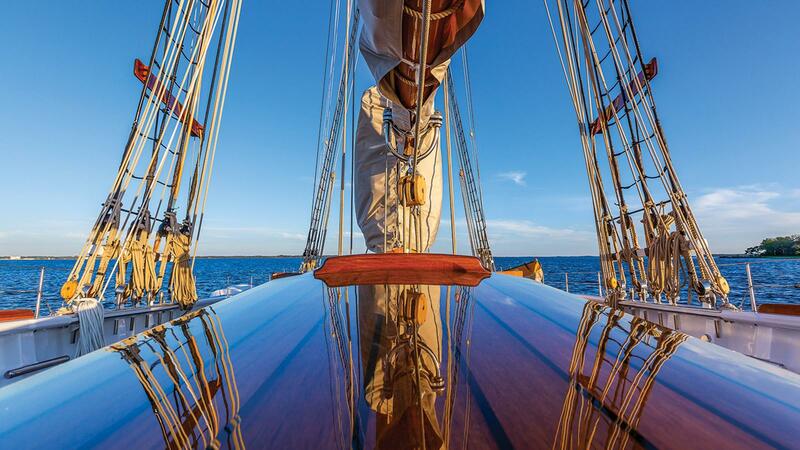 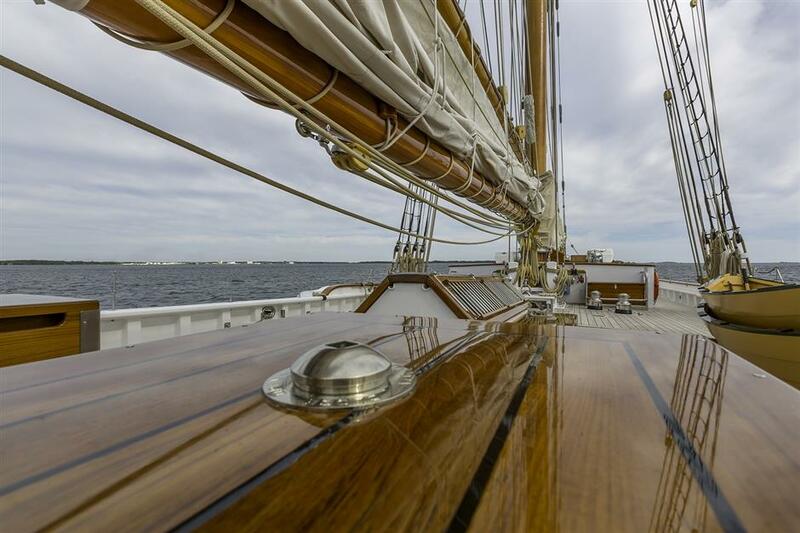 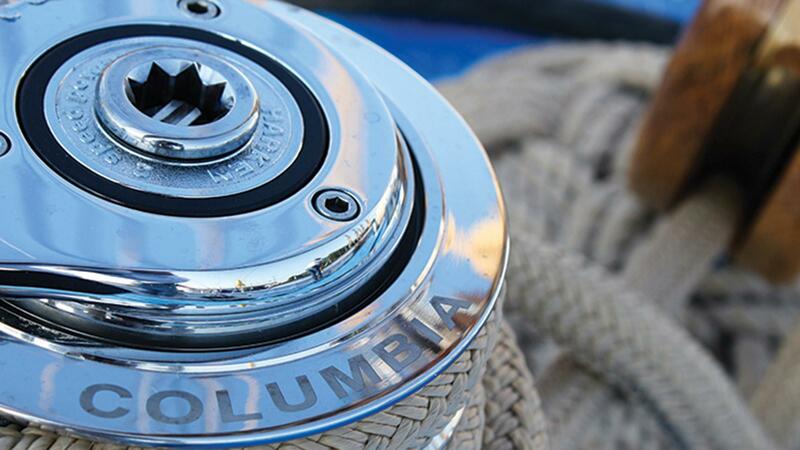 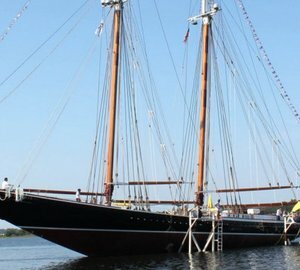 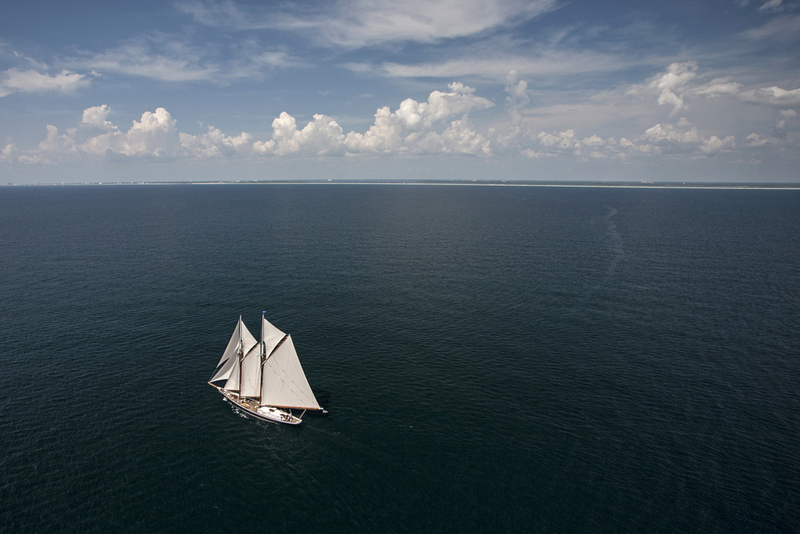 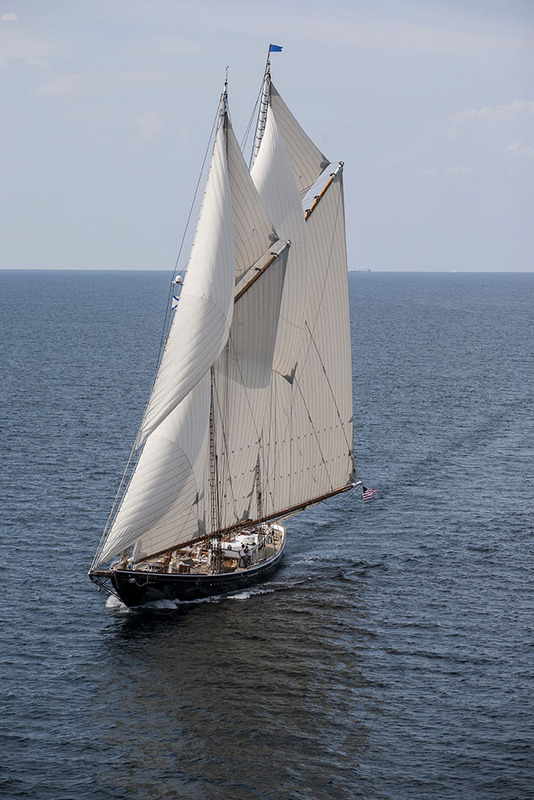 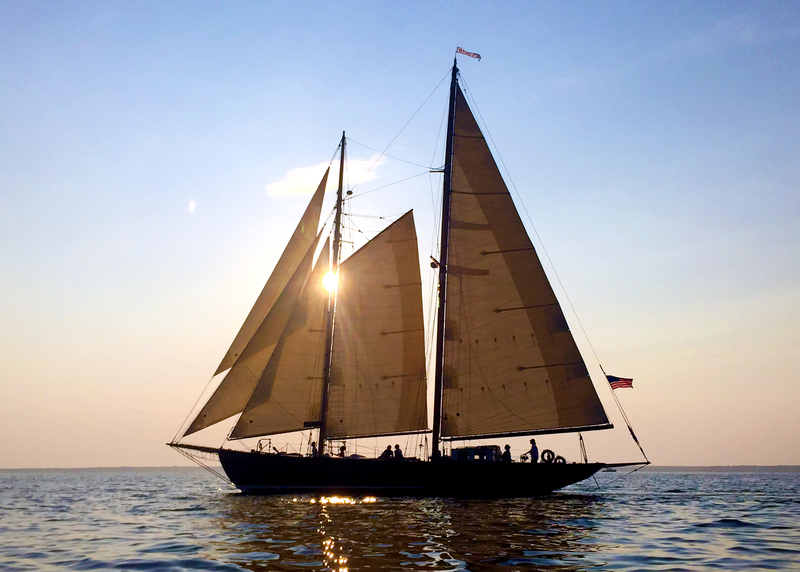 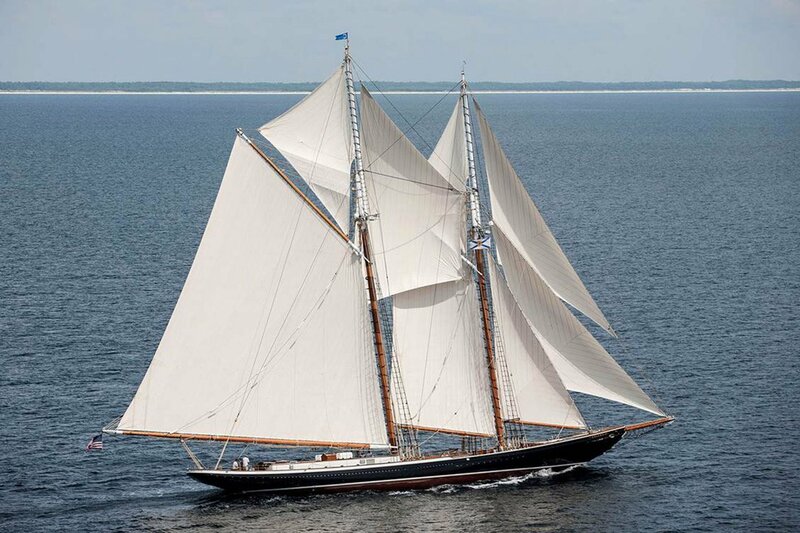 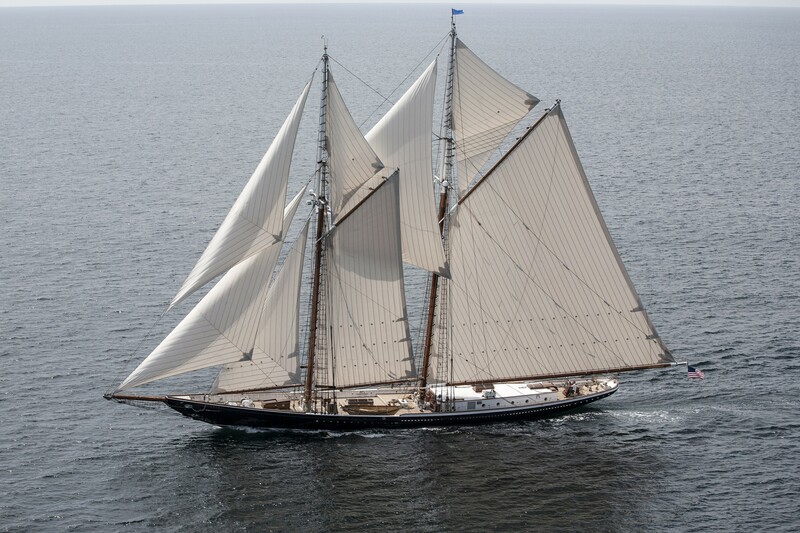 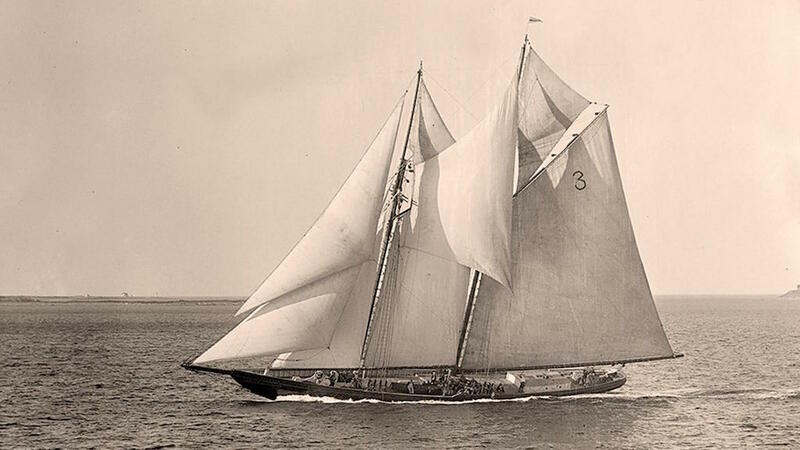 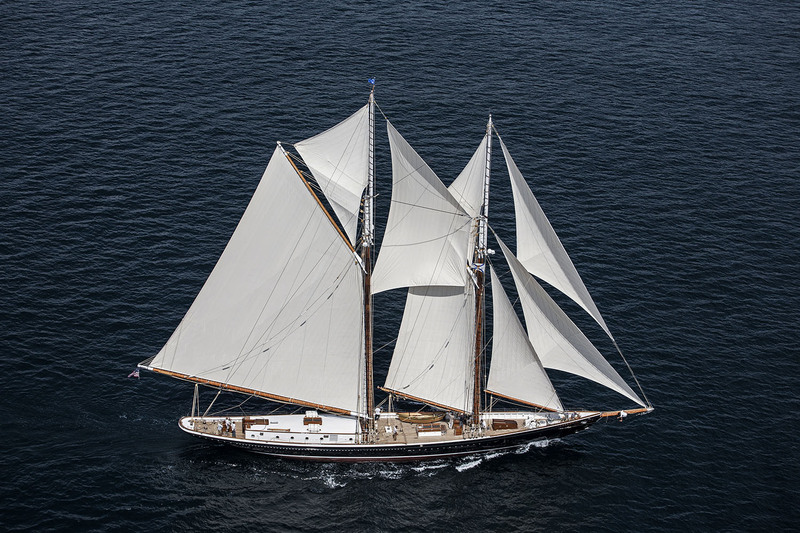 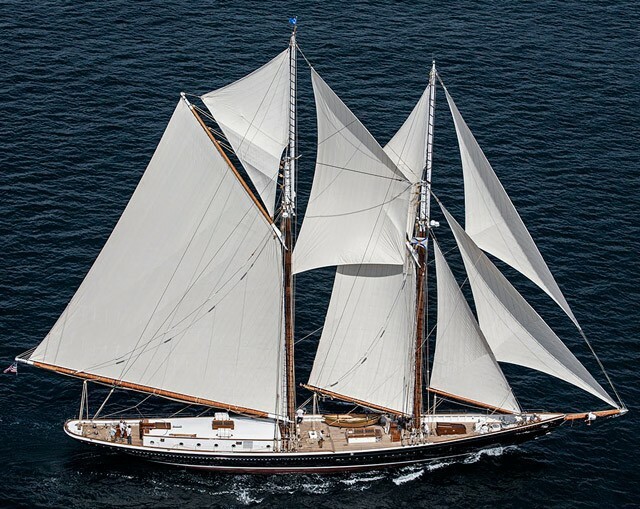 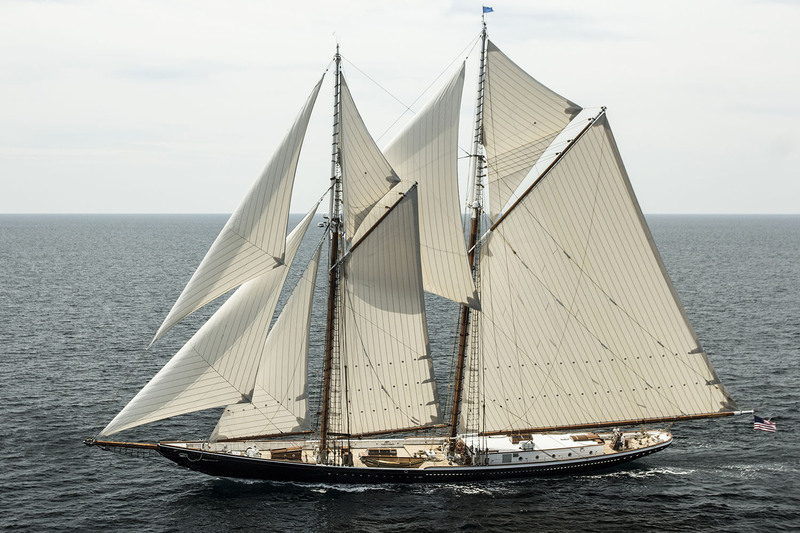 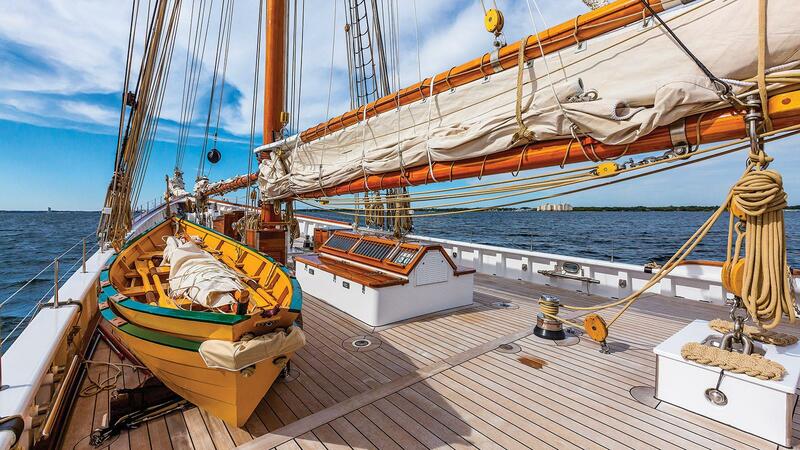 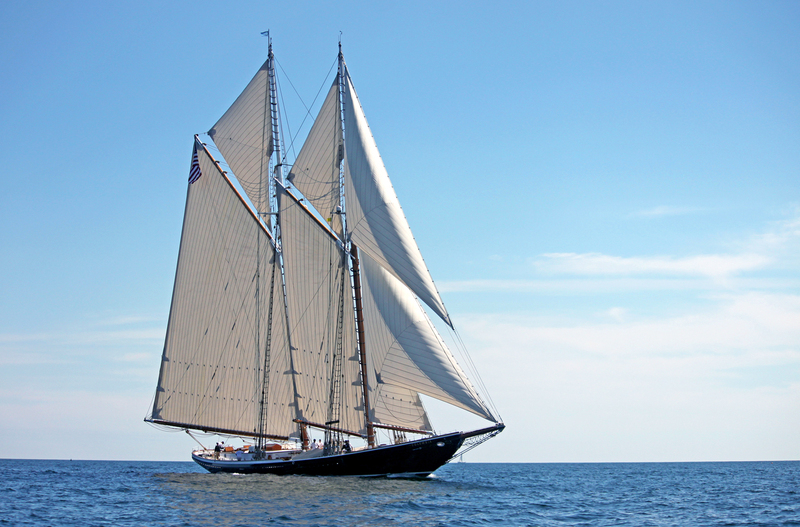 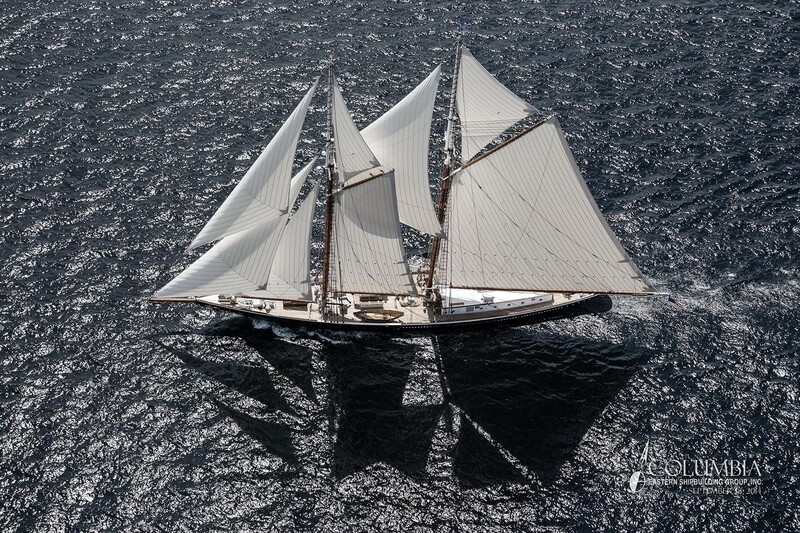 Luxury sailing yacht COLUMBIA was launched in 2014 by Eastern Shipbuilding Group and is a 42.98m (141ft) replica of the famous COLUMBIA fishing schooner, built Massachusetts in 1923. 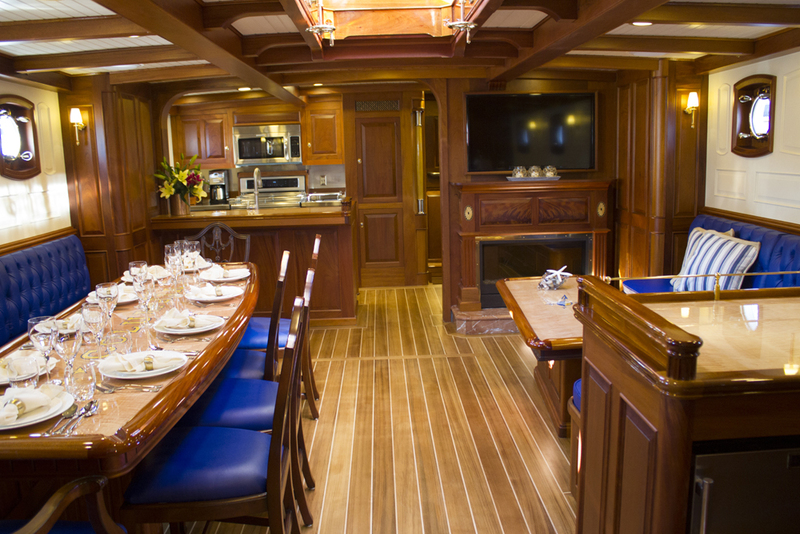 The yacht can accommodate up to 12 charter guests, in 4 spacious cabins. 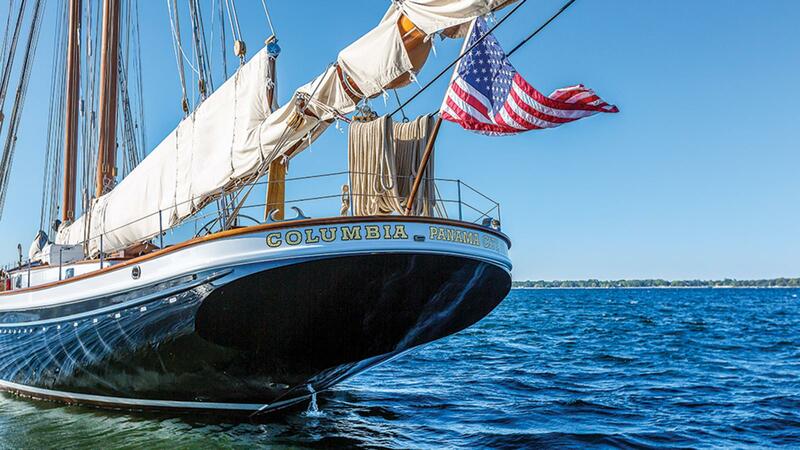 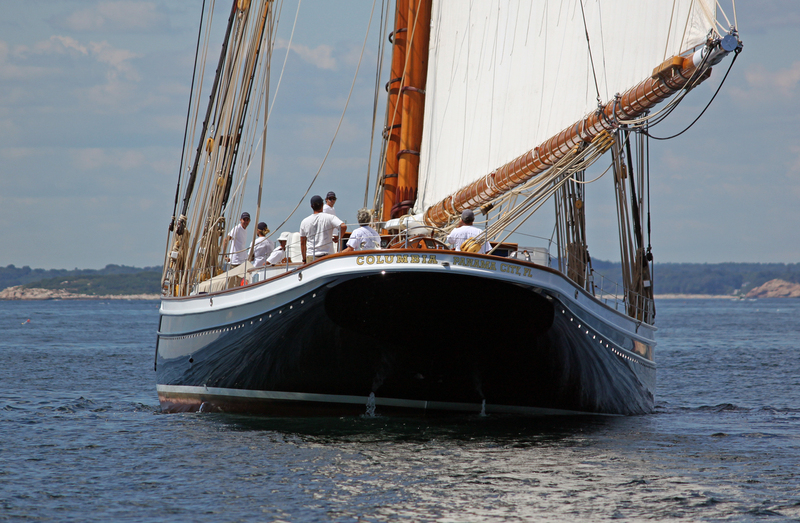 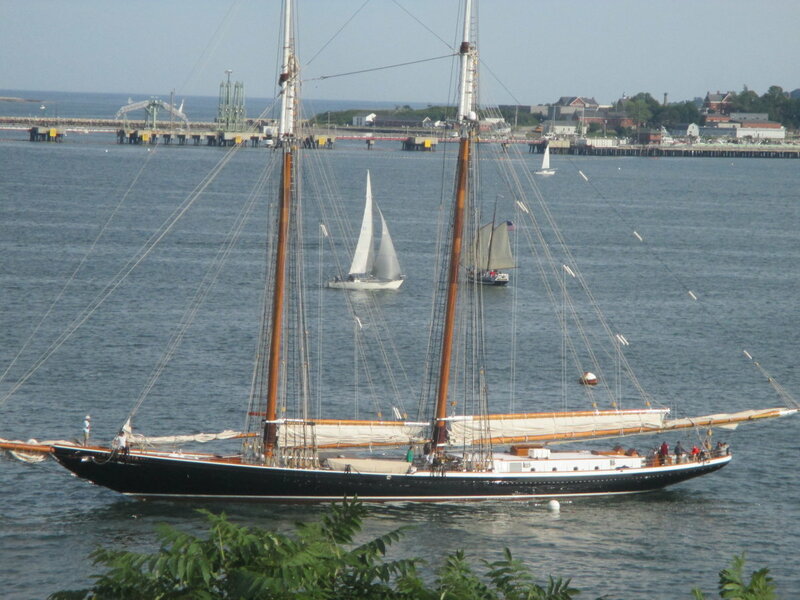 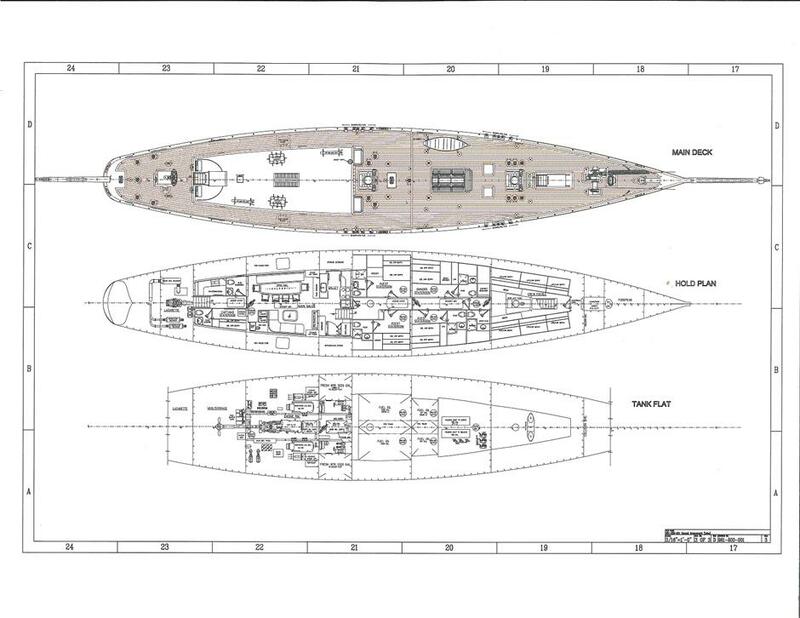 She features Naval architecture by John W Gilbert & Associates. 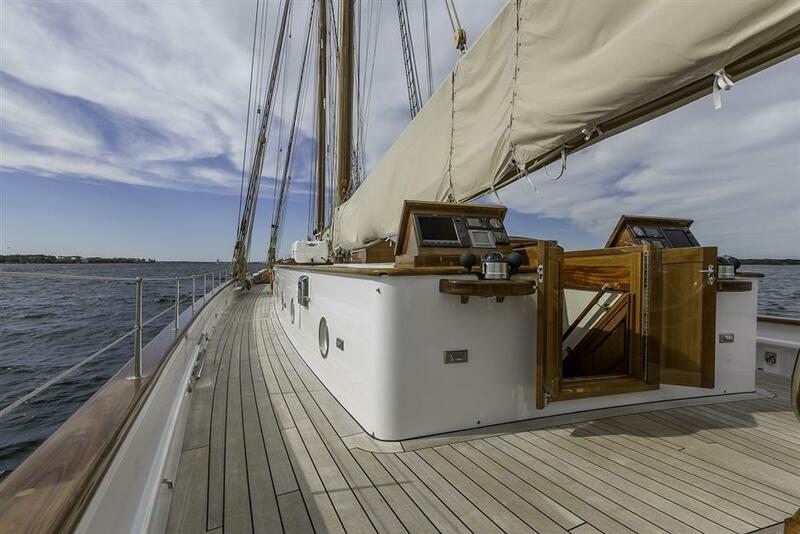 Her interior décor has been beautifully finished embodying the traditional styles of the 1920’s while providing modern amenities and comforts. 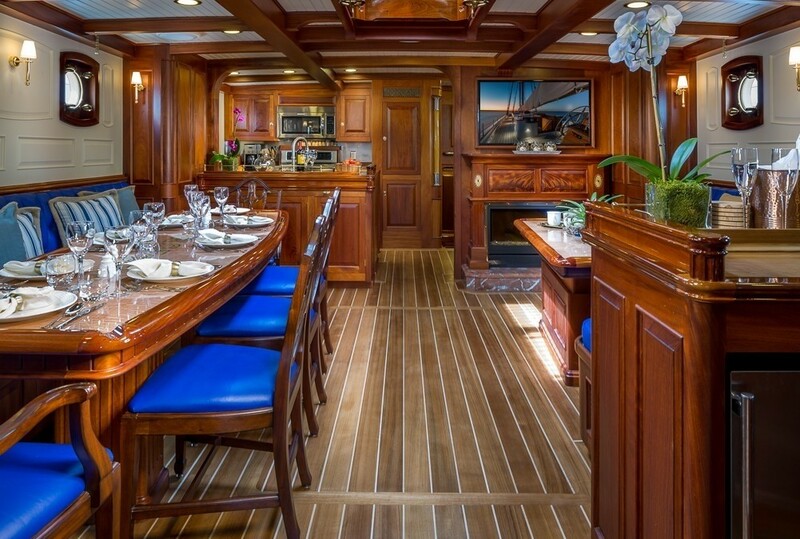 Her main salon features sea blue leather furnishings, intricate wood detailing and carefully chosen fixtures and fittings. 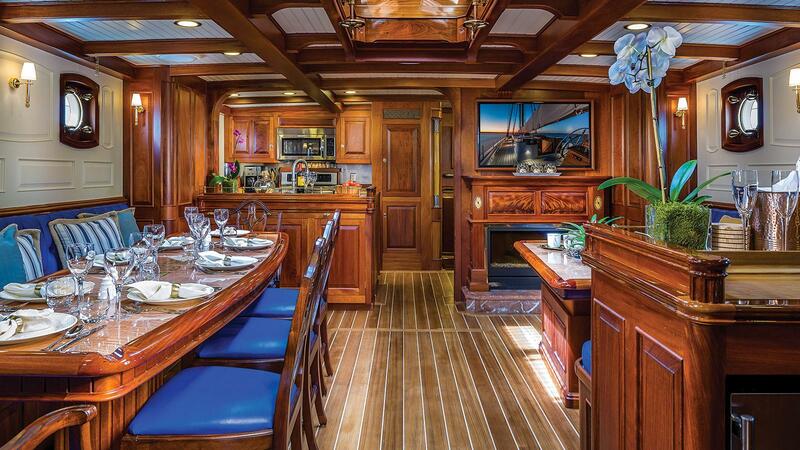 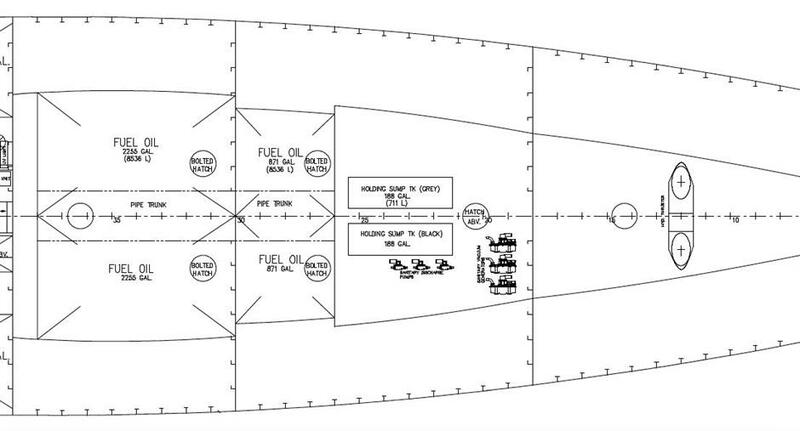 On the port side is a formal dining table, while to starboard is the lounge with convertible coffee to a cocktail table, and electric fireplace. 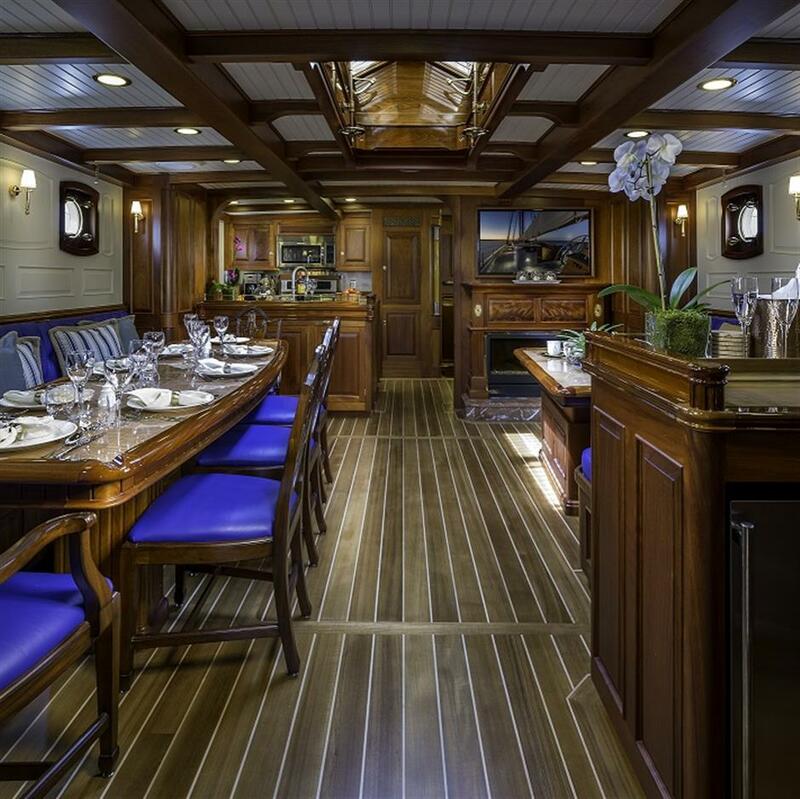 The galley is forward of the salon in a contemporary open plan, allowing guests to mingle with the chef in a more casual, modern atmosphere. 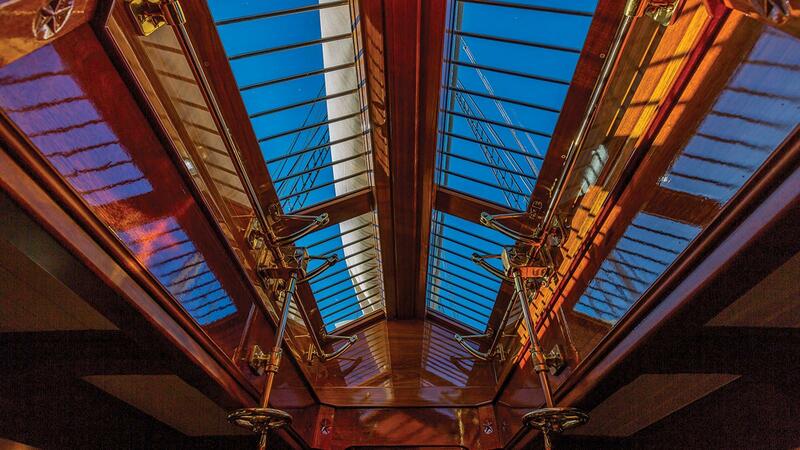 The yacht is fully air-conditioned and heated for optimum comfort. 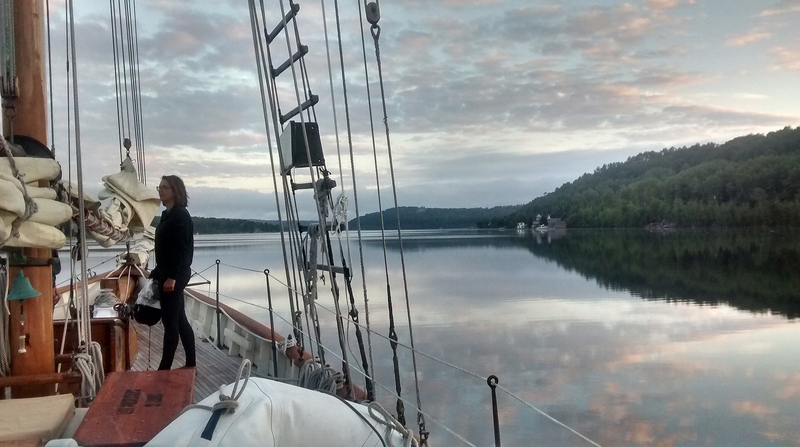 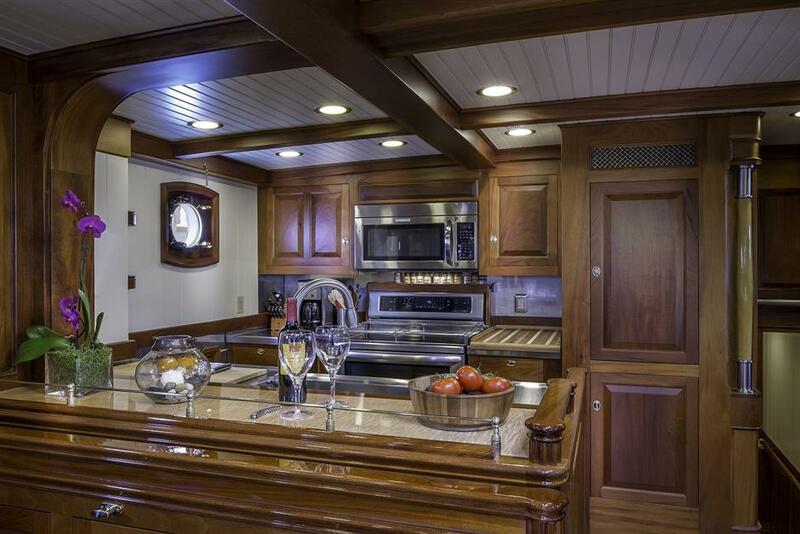 Accommodation is in 4 cabins, for up to 12 charter guests. 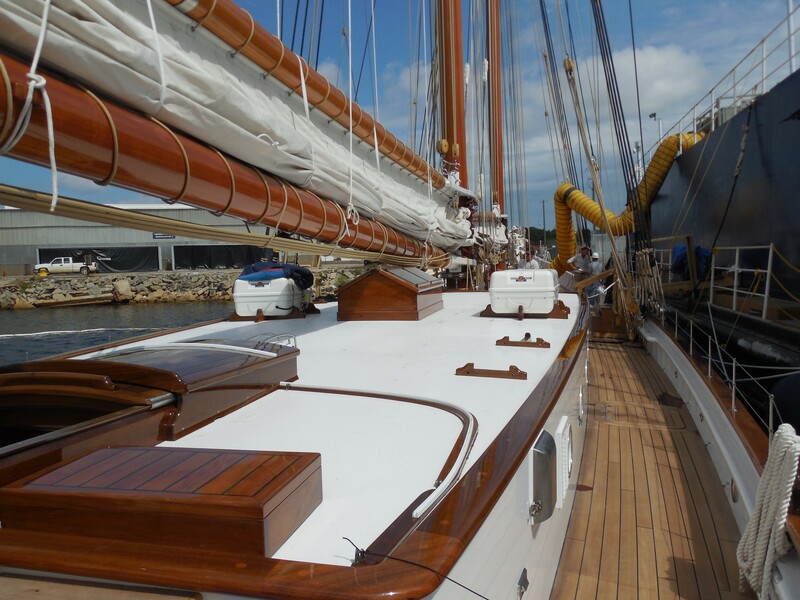 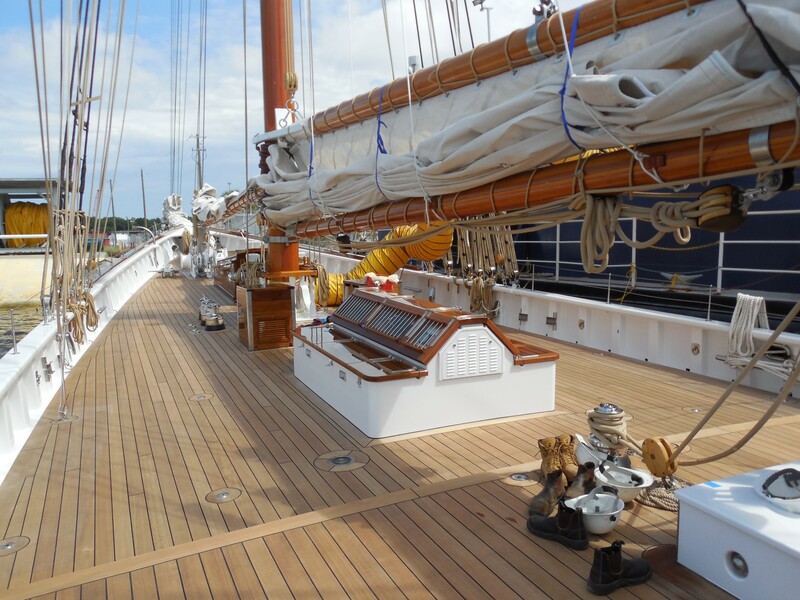 Her gorgeous teak decks are generous. 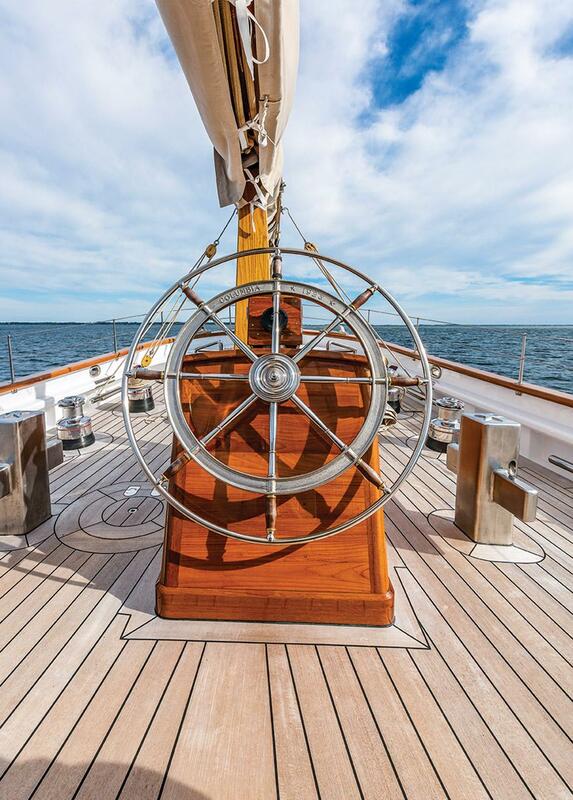 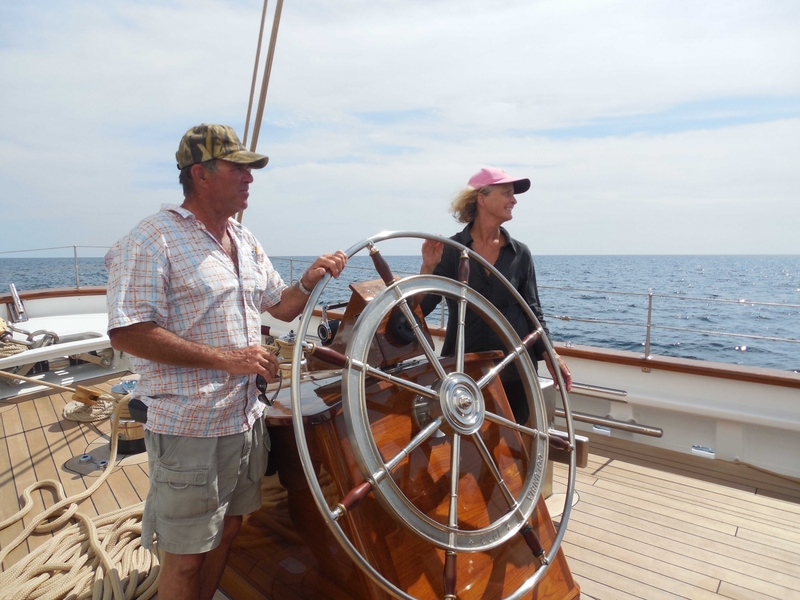 Aft of the helm is a seating area, where guests can enjoy watching the crew in action. 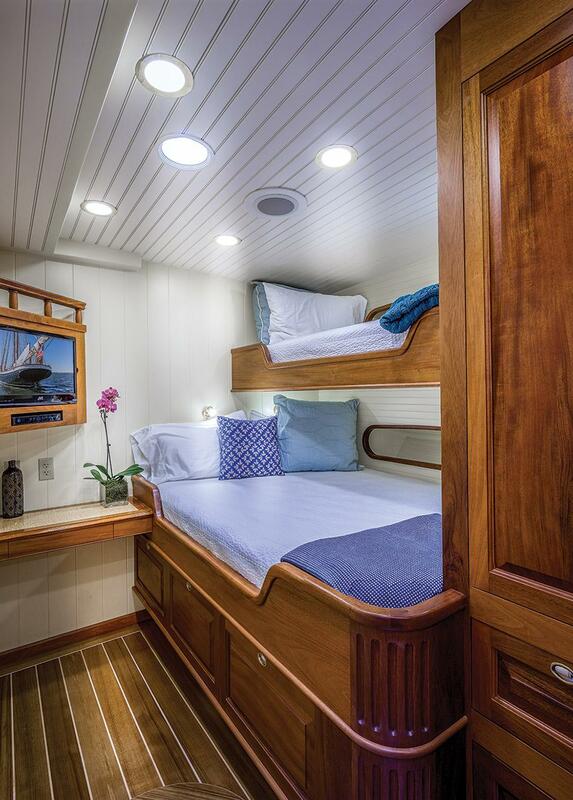 A raised cabin house is perfect for lounging and sunning while at anchor. 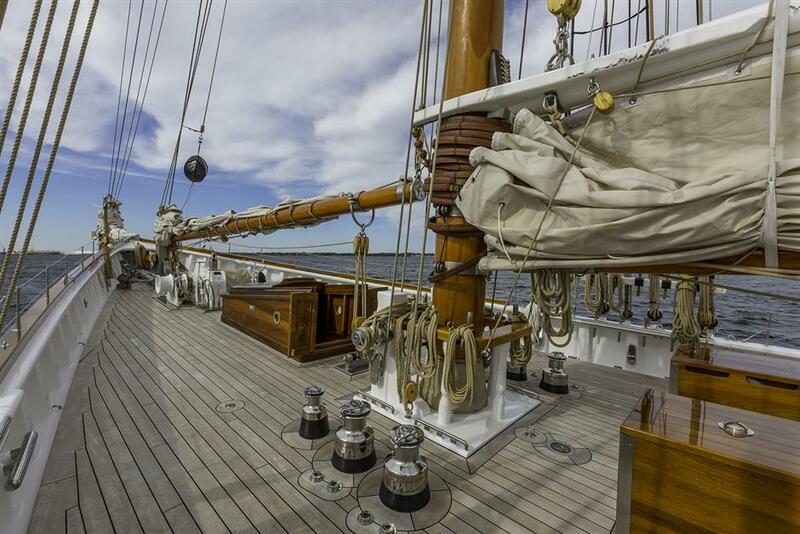 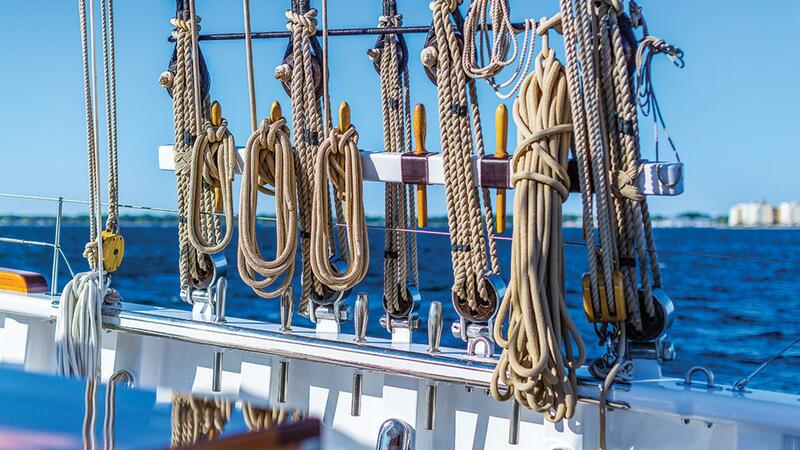 Forward of the main mast, there is ample space to sit, relax and sun. 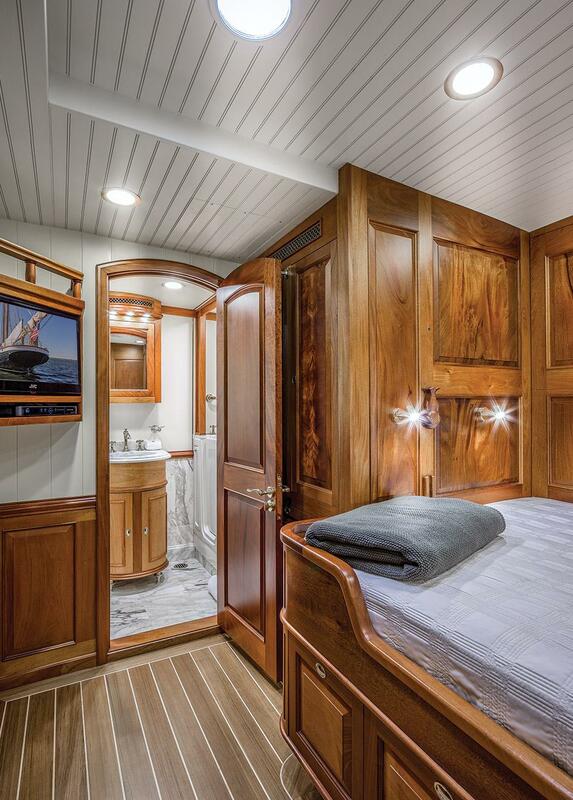 Optional shade is provided by a custom Bimini cover. 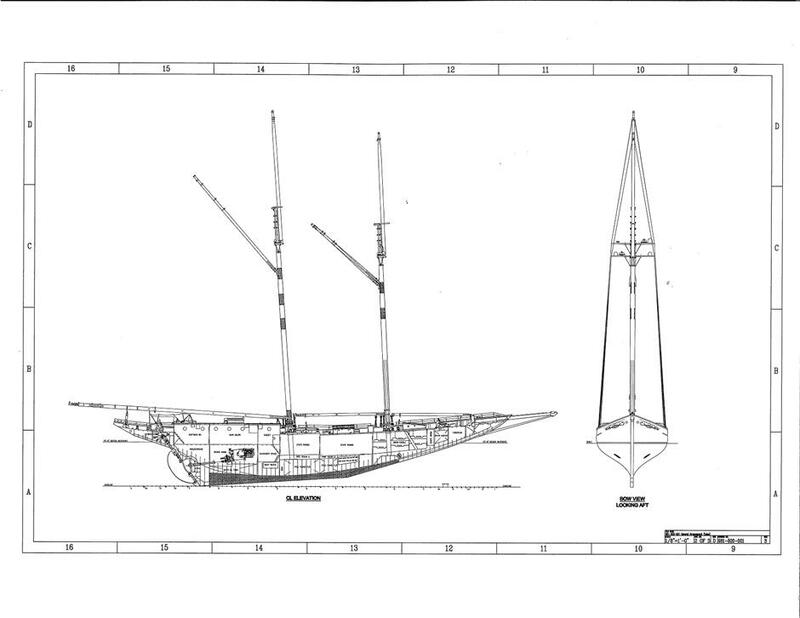 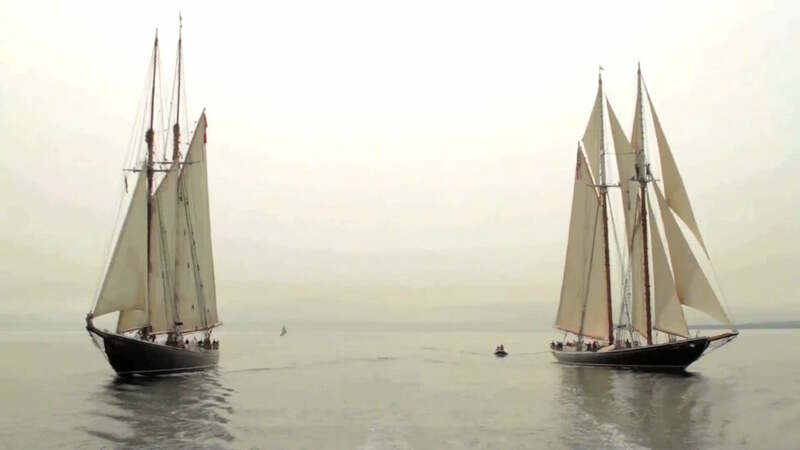 The yachts hull is steel, while her rig is laminated Douglas fir and Sitka spruce. 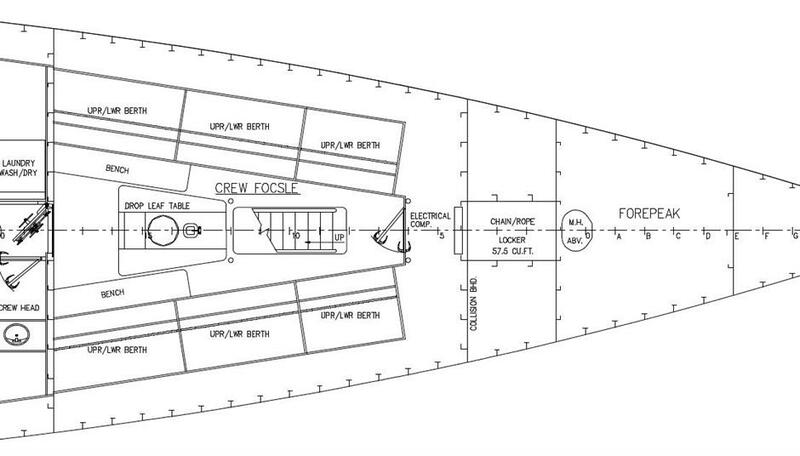 She boasts modern inclusions such as underwater lighting and a bow thruster. 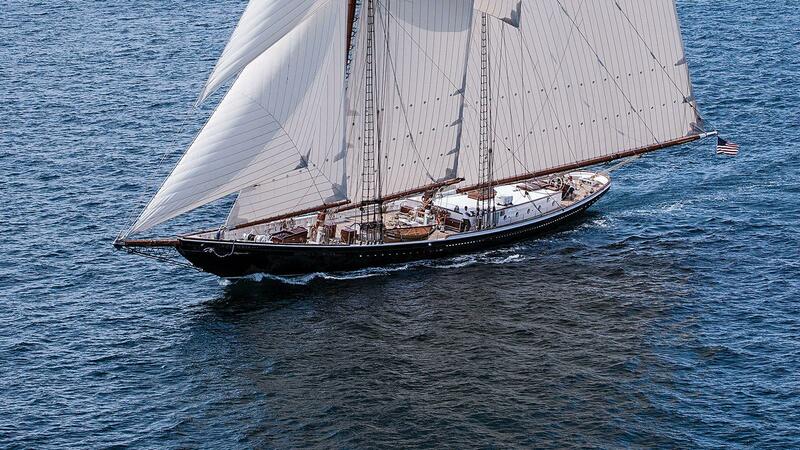 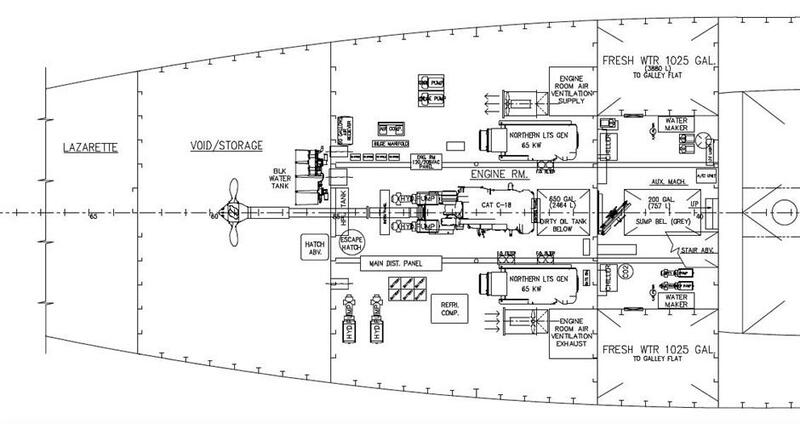 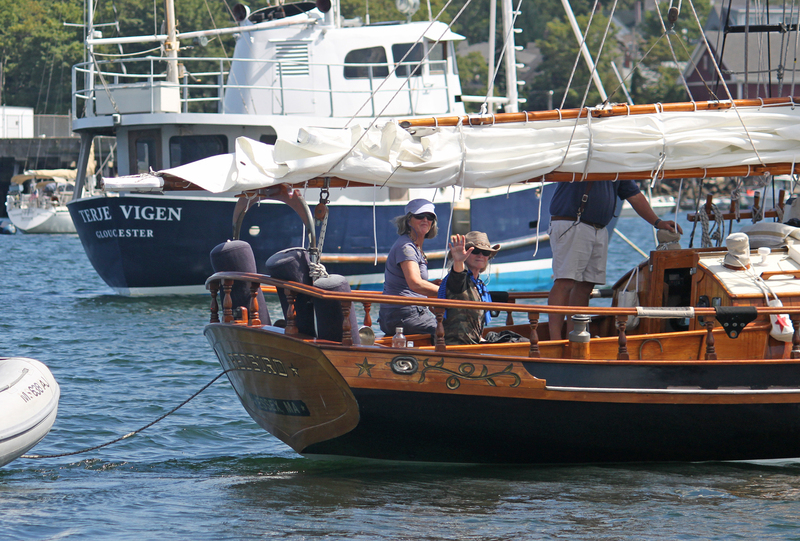 Powered by a single CAT C-18 587hp engine, she has cruising speeds of 9 knots and top speeds of 13 knots under motor. 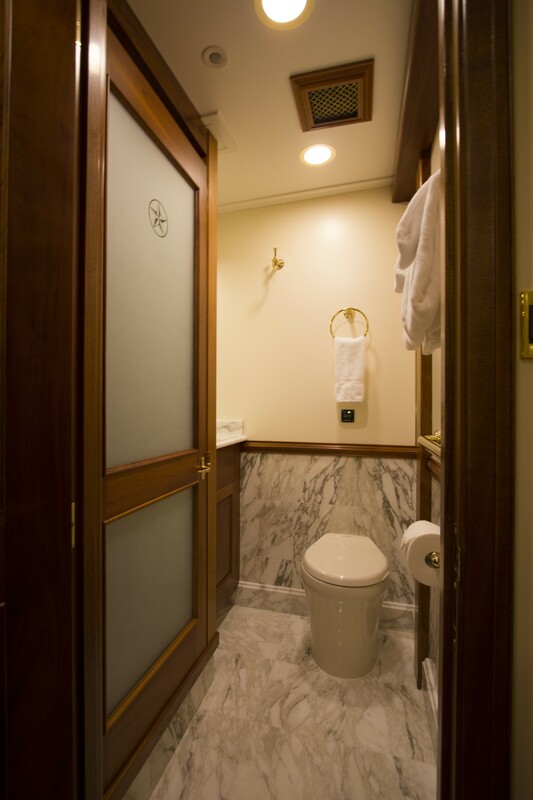 Accommodation is in 4 guest cabins, each with private ensuites, beautifully finished in fine marble. 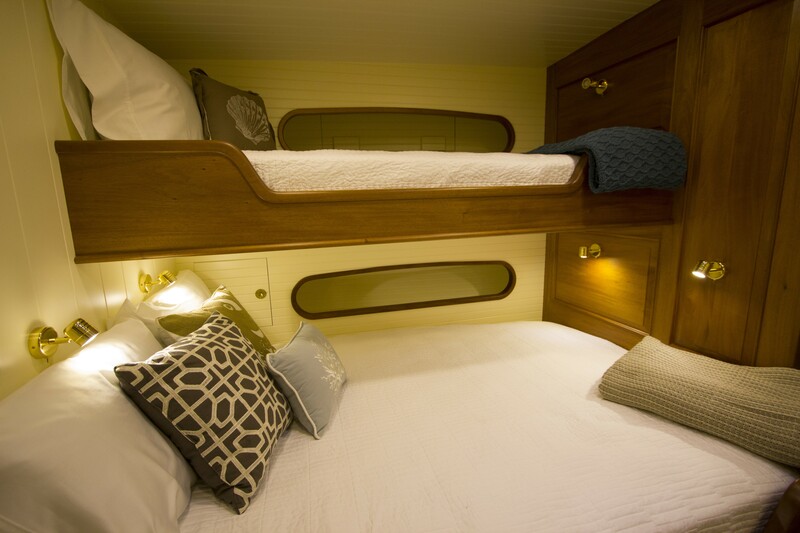 The master cabin is on the port side amidships with a queen size bed, single Pullman berth, desk, TV entertainment and ensuite, with Jacuzzi tub and shower. 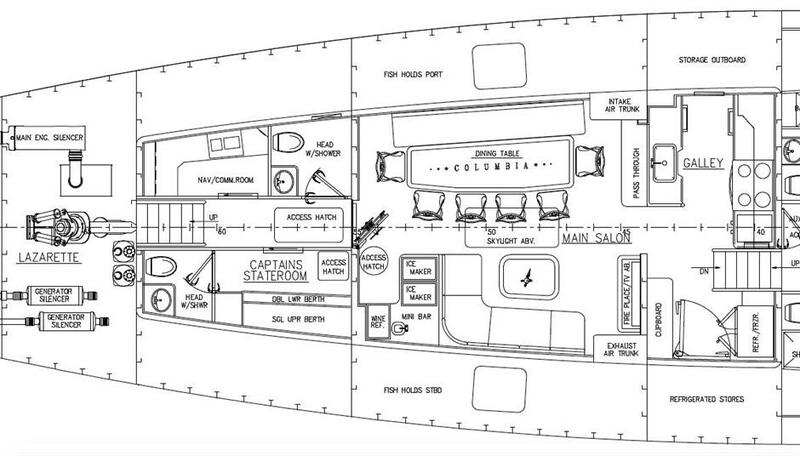 The VIP cabin is on the starboard side, with a queen size bed, Pullman berth, desk, TV entertainment and ensuite with shower. 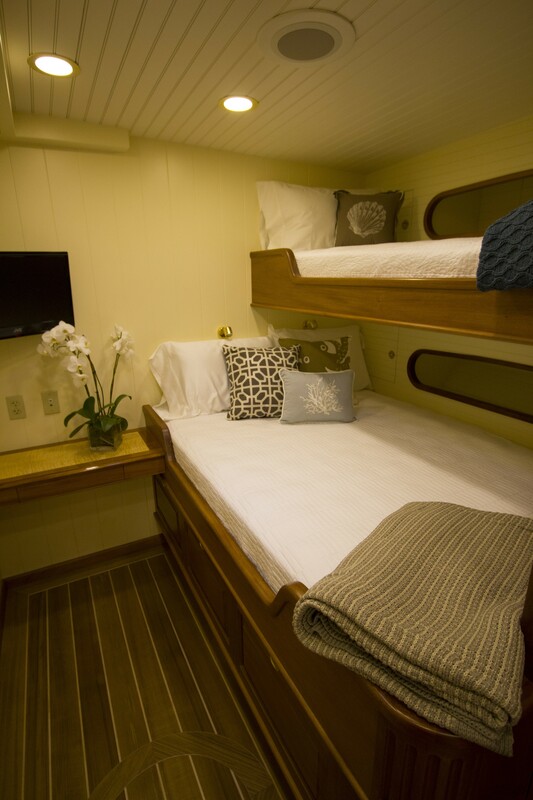 A further 2 cabins each have a lower double bed and fixed upper single bunk. 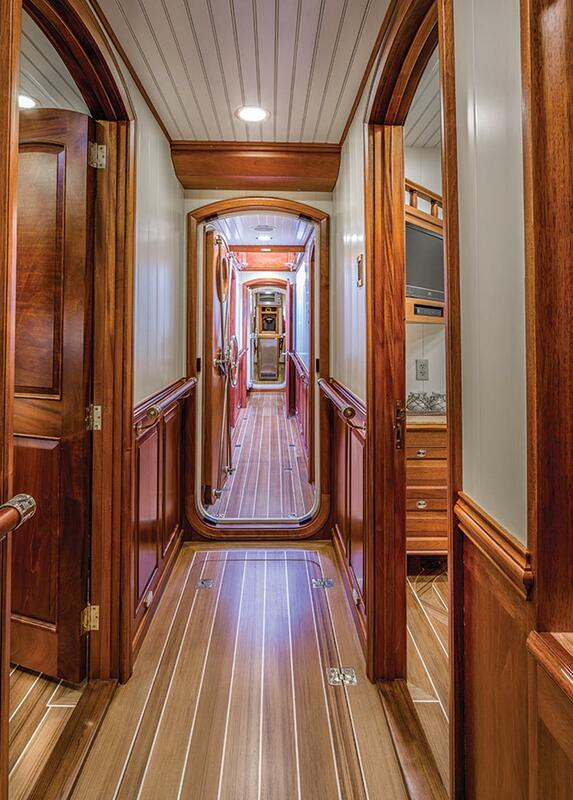 Both cabins offer TV entertainment and ensuites with showers. 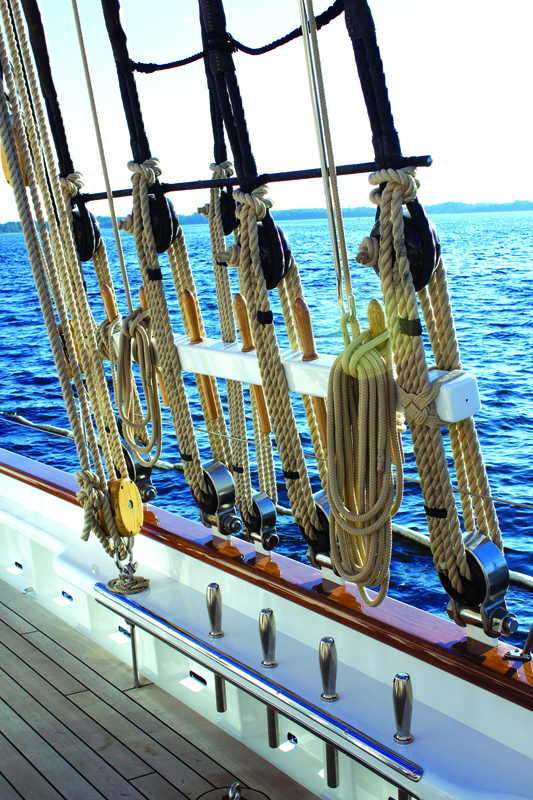 The crew accommodation is completely separate from the guest’s accommodation ensuring optimal privacy.